SECURALL 115 Gal. 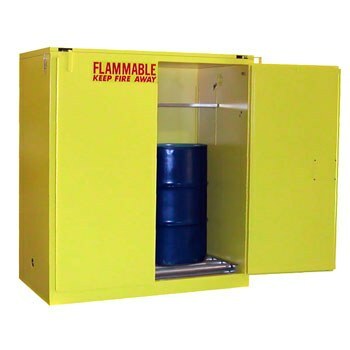 Vertical Drum Storage Cabinets with Standard 2 Doors are the safe and organized way to store Flammable Liquids stored in 55-gallon drums. Vertical Drum Cabinets easily store and remove 55-gallon drums with ball bearing Roller Bottoms. These cabinets comply with current OSHA regulations in accordance with the standards of NFPA Code 30. Popular sizes are FM approved.